The Dallas Cowboys repeated familiar trends last season by starting off strong and fading down the stretch. The Cowboys won four of their first five games before hitting a rough road during the middle of the season. However, the Cowboys were still legitimate playoff contenders up until they fell apart once again in the month of December, suffering three losses. Internal conflicts became a focal point of attention and drama became an all-too-familiar word heard around the world in relation to this team. There are many NFL predictions that seem to forget the Cowboys in talk of an NFC Title. However, the talent level remains among the best in the conference. Owner Jerry Jones played a major role in the releasing of wide receiver Terrell Owens, who many blamed for all the internal turmoil. If that happens to be the solution, the Dallas offense is for the most part the same unit the terrorized defenses two years ago in route to a 13-win regular season. The question is can they get back to that kind of success? 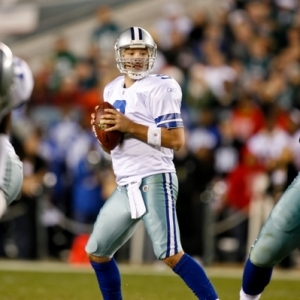 Last year’s Dallas offense was a big step back from their impressive 2007 campaign. Offensive coordinator Jason Garrett was once considered the mastermind behind the offense’s success. However, last season some of the Cowboys own players claimed the offense had become “predictable.” It will be interesting to see if the unit can get its confidence back heading into this season and rack up some more points. For that to happen, Roy Williams will have to step up in a big way. Williams was brought over in a trade from Detroit to restore the talented wide outs play making ability. Williams, on the other hand, was not very impressive, catching only 19 passes in 10 games. With Owens out of the picture, Williams could become a big factor as a down-the-field threat. Tight End Jason Witten will remain a big target for the air attack. Witten, who caught passes for just shy of 1,000 yards last season, will again be QB Tony Romo’s go to target in big situations. The rushing offense struggled for the majority of 2008. Tailback Marion Barber did not have the type of success expected while carrying the majority of the workload. However, this season things could really take a step in the right direction by the ways of the young talent of Felix Jones. Jones displayed game-changing ability last season with a 98-yard kickoff return on special teams and a few other long runs from the backfield. Jones likely would have continued to gain attention if it were not for injuries that shortened his year. The former Arkansas standout could be on the verge of becoming an every down back. There are already rumors that Jones may get the start while Barber comes in late in the game when defenses are wore down, a time when Barber, the strong willed running back, is at his best. If Jones can show more improvement, the Cowboys running attack could become a huge part of their offense in 2009. Despite popular misconception for having a troubled secondary, the Cowboys pass defense was the strong point of a defense that ranked eighth overall in the league. The secondary ranked in the Top 5, holding teams to just 187 yards per game through the air. Although the defensive secondary prevented any major defeats through the passing game, they failed to produce many turnovers. The Cowboys ranked in the bottom three teams in the NFL with only eight interceptions, which may be a big reason they ranked near dead last in the NFC with a -11 turnover ratio. Safety Roy Williams was let go after failing to meet expectations for the second year in a row. Former first round pick Mike Jenkins will have to mature fast to lock down one of the corner positions. The Cowboys will have a lot of young depth in the secondary which could be scary if injuries were to play a role again this season. The defensive front was also very solid. The Cowboys defense recorded more sacks than any team in the league with a total of 59. DE DeMarcus Ware accounted for 20 of those sacks to lead the NFL and will surely be a force to be reckoned with again. However, defensive ends Greg Ellis and Chris Canty are both gone. Igor Olshansky was signed out of free agency from San Diego to a four-year deal to fill the vacancies. Olshansky must be able to establish himself after a sub-par 2008 season if the Cowboys are to record 50-plus sacks again this season. The defense as a whole must be able to post similar numbers for the Cowboys to have a chance at contending for the division or even a conference championship. Of course, the bigger focus will be the offenses’ ability to regain form and establish its return to the big stage. Perhaps the new $1.15 billion stadium could help the Cowboys leave some of those old demons in the past. 2009 Dallas Cowboys Predictions: The Cowboys very possible chance to emerge as a rushing team gives a greater hope than the questionable air attack on offense. Expect the offense to deliver a bigger punch on the ground while taking more their share of chances down field. The Cowboys will experience some highs and lows again, but this year they should be able to end that 13-year playoff victory drought.